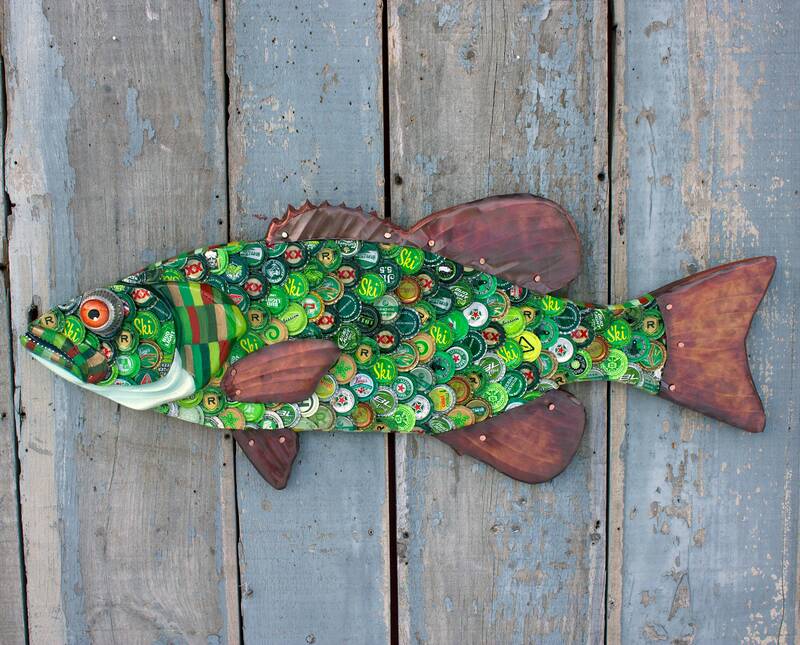 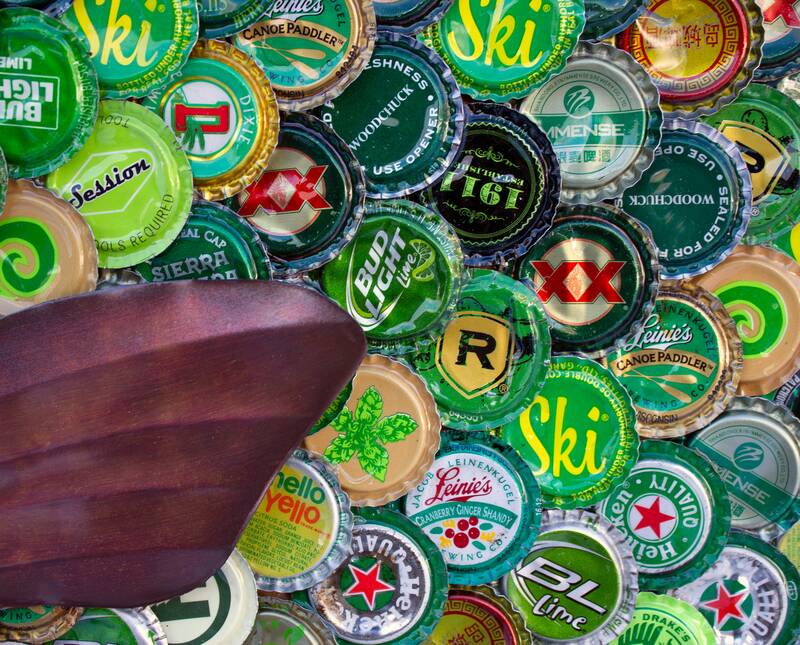 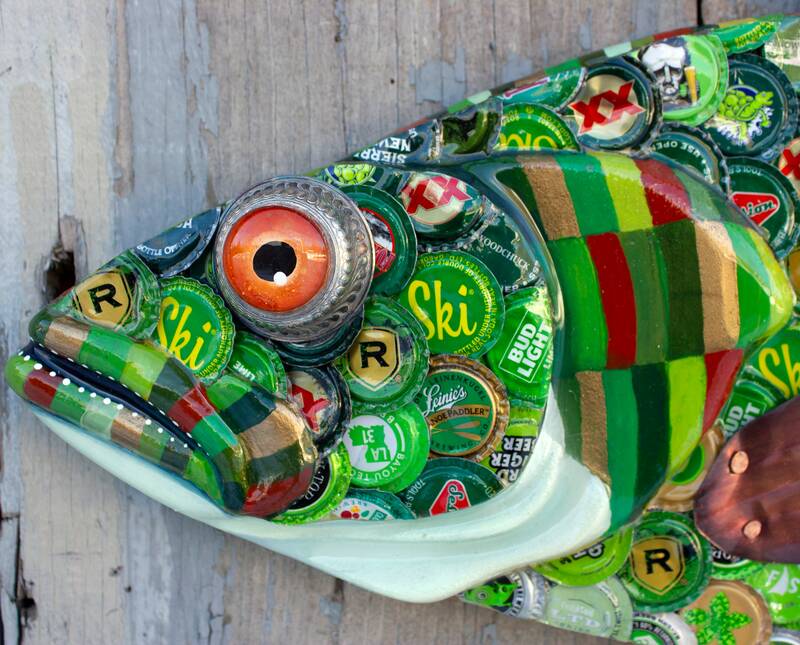 Bass Original Wall Sculpture Bottle cap Art 33"
This Lucky Green Bass will look awesome swimming above the bar, in your kitchen, bathroom or any place you would like to bring some color and fun! 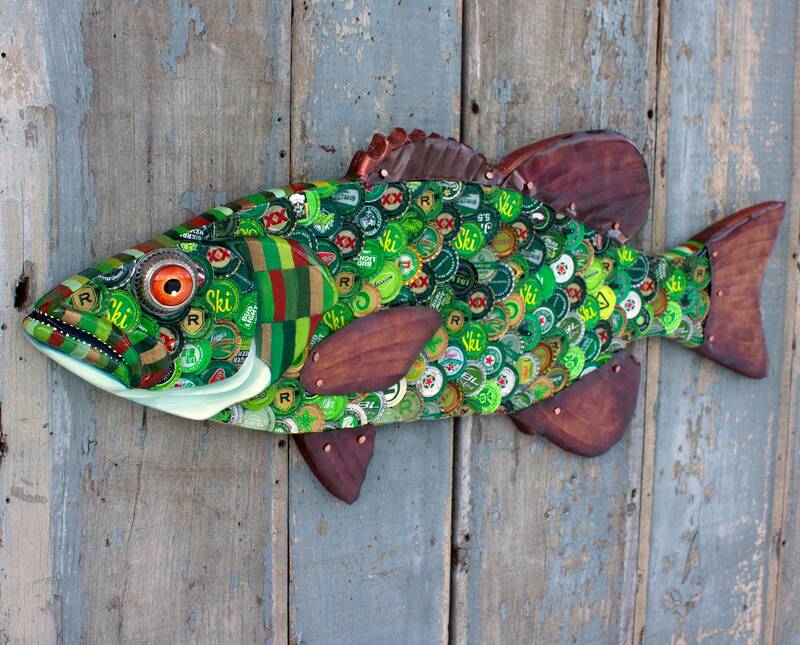 This Original Artwork is carved from wood, I hammered and attached LOTS of Green hued bottle caps in the armored scale pattern and I painted the gills, mouth and sides in many shades and tints of compatible colors and poured resin over everything to lock the caps in place and also add a nice shine!The fins are copper that I hammered and oxidized for a nice patina that looks amazing against the metal caps. 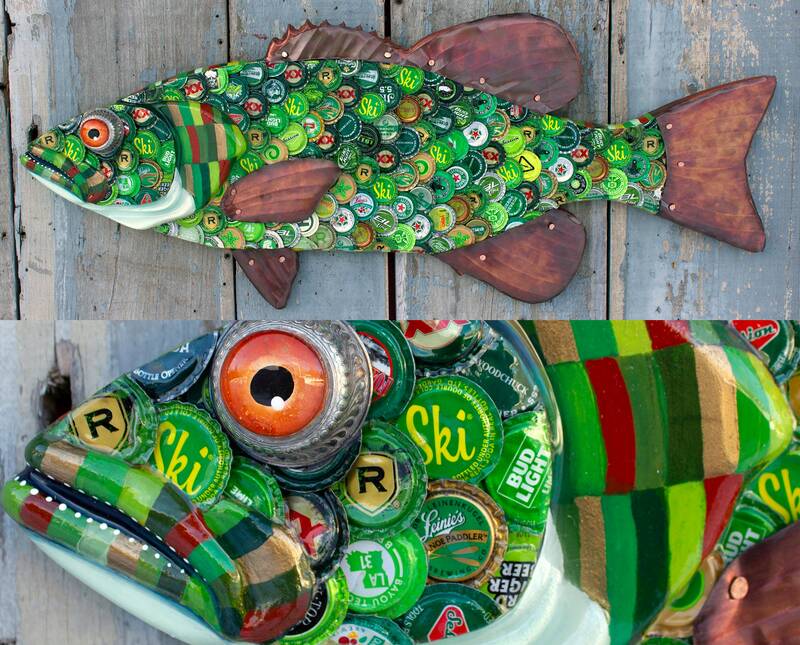 I reverse paint clear glass cabochons for the eyes and added a little bling behind it with re-purposed metal .